The 2014 Christmas trading announcements highlight the apparent impact of the internet. 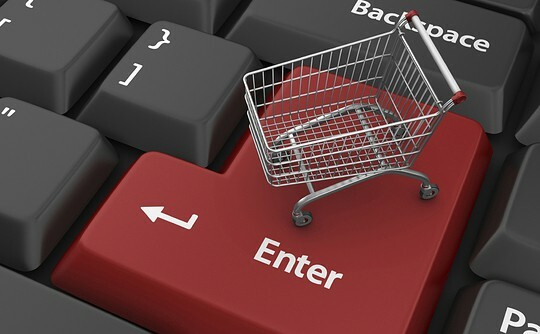 The volume of web sales will overtake high-street revenues for many businesses in the near future (if not already!) But what can we project as likely impacts of the most recent “positive” reports? It would be easy to write a blog post on this one topic but…lets move on! Careful businesses will audit results, benchmark against the KPI’s reported by others (and allow for exaggeration/beneficial reading) and draw up a plan to move the business form A to B. That will generate creative project opportunities, probably for agencies and internal teams are rarely agile enough or “creative” enough…. Nope, not pretty pictures as some seem to think is all this phrase means…But looking at current issues and potential ones. Identifying opportunities for competitive advantage, customer service enhancements and creating usp’s. Then delivering them in a timely way, on budget, with ROI built in. Greater scrutiny of competitor sites will generate copy cat elements on sites in similar sectors. Whilst many will claim innovation more often than not its just the whole sector adopting the same policy/approach. This ups the product and service definitions which is great for the consumer (in the main) but provides a tougher environment for retailers to stand out. Hence the winners (in Christmas 2013/14) need to be creative if they are to simply maintain those successes. Click and collect means out of town parking is a major advantage. A shop’s ability to identify the browser/showroomer will become a necessity. Flexibility to respond to price, by assistants may be needed. But its not all doom and gloom; don’t forget the CBRE found 4 in 5 shoppers still preferred to buy clothes on the high street and not remotely. So, if you are a half empty sort of person, now is the time to worry about the Spring Sales. If your optimisitic you have probably already got a plan to stay ahead of the curve! This entry was posted in Blog, Consultancy, digital strategy, Uncategorized. Bookmark the permalink.